It can be a cruel game at times. It's a game where one play can control the outcome of a game, a season — and even the chance to win a championship. 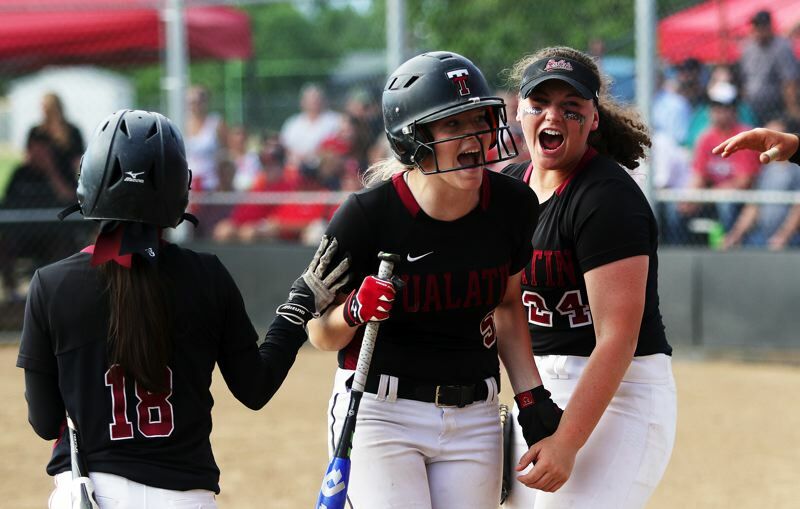 The Tualatin High School softball team, and senior Sammi Caron, came up with with a huge play in crunch time during Tuesday's state playoff semifinal game. But, unfortunately for the Timberwolves, North Medford came up with an even bigger play. And, because of the outcome of that play, the Black Tornado gets the opportunity to play for a state championship. 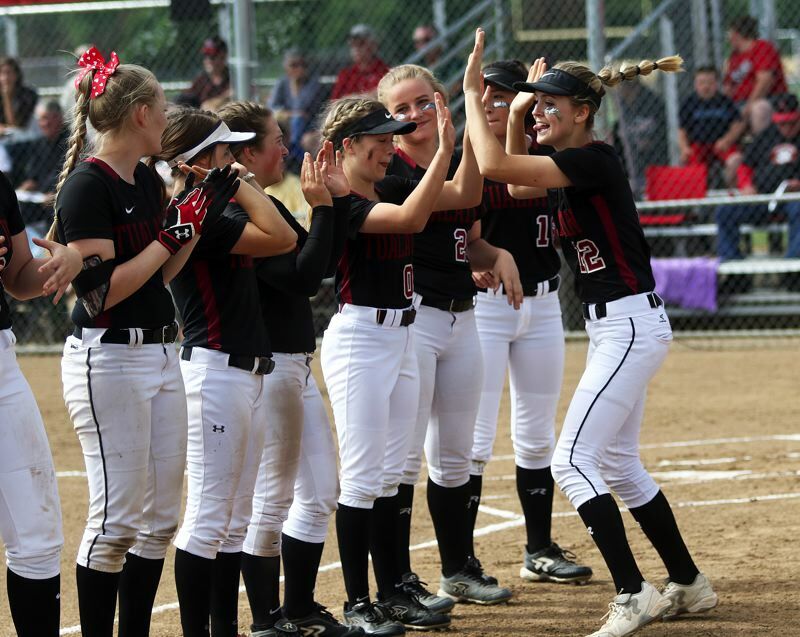 In a back-and-forth, thriller that wasn't decided until the contest's final play, North Medford rallied in the sixth inning, and then held off Tualatin in the top of the seventh, to get a nail-biting 4-3 win over the Timberwolves in a Class 6A state playoff semifinal game played at North Medford High School. "It could have gone either way," Caron said after the contest. 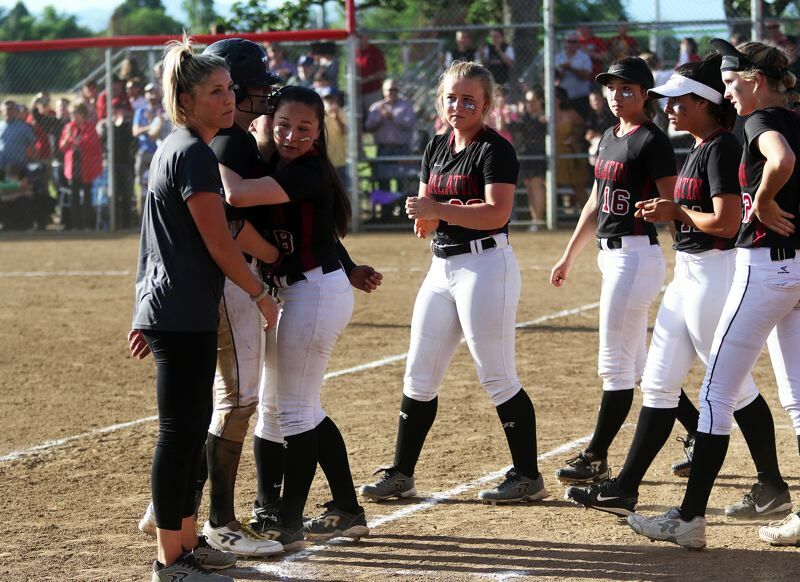 "We came out ready to play at the level that we expected," said Tualatin's Amanda Reser, who, along with Caron, are the only seniors on the team. "We gave it our best. You can't ask for anything more than that." With the win, North Medford, the Southwest Conference champion, and the No. 3 team in the final OSAA power rankings, improved to 29-1 on the season. The Black Tornado also advances to play in the Class 6A state championship game. 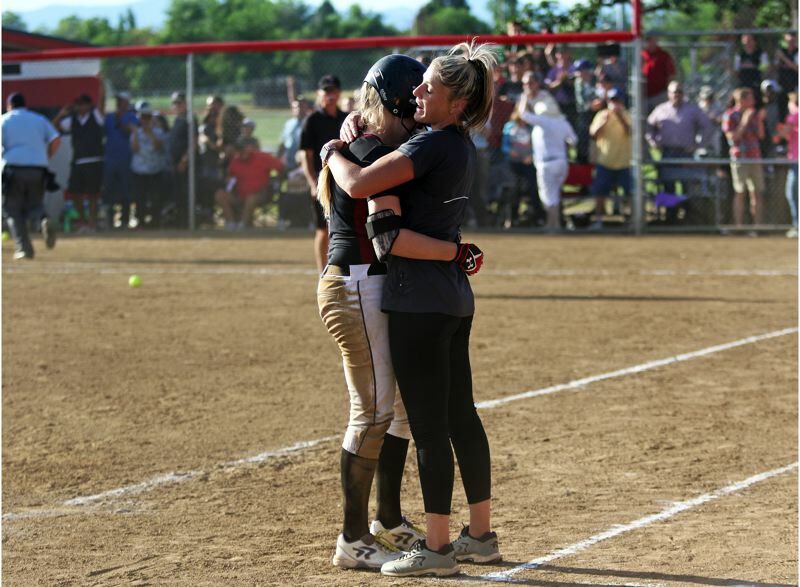 It will face Westview for the title on Saturday, in a game set to start at 4 p.m. at the Oregon State University softball complex. Tualatin, the Three Rivers League champion, and the No. 7 team in the final OSAA power rankings, finished its season with a final overall record of 24-4. "It was one of the most fun seasons I've ever had," Reser said. "I love this team." 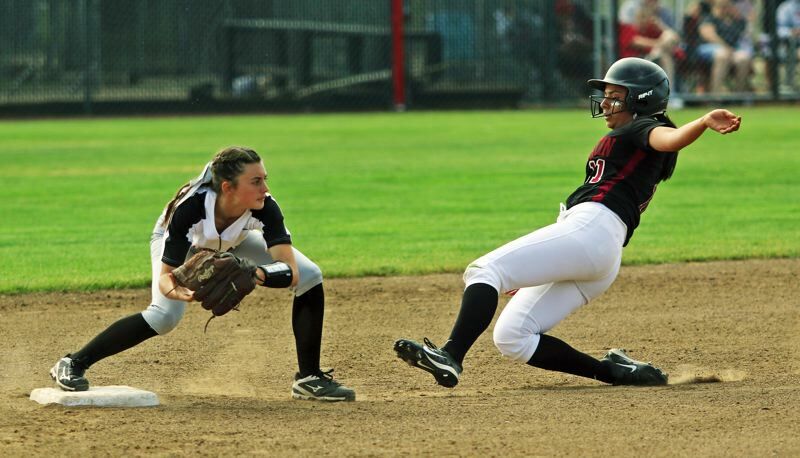 "There's a lot of heart with this team," Tualatin junior third baseman Taylor Alton said. "I've never played on a team that had this much heart." 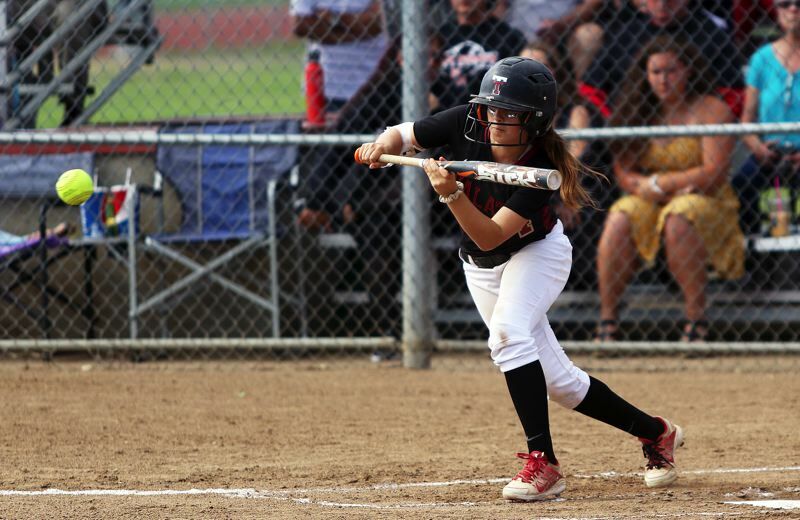 "I've been lucky to get to play with Amanda and Sammi," Tualatin junior outfielder Zoe Olivera said. "They're the hardest workers and they've meant so much to the team." 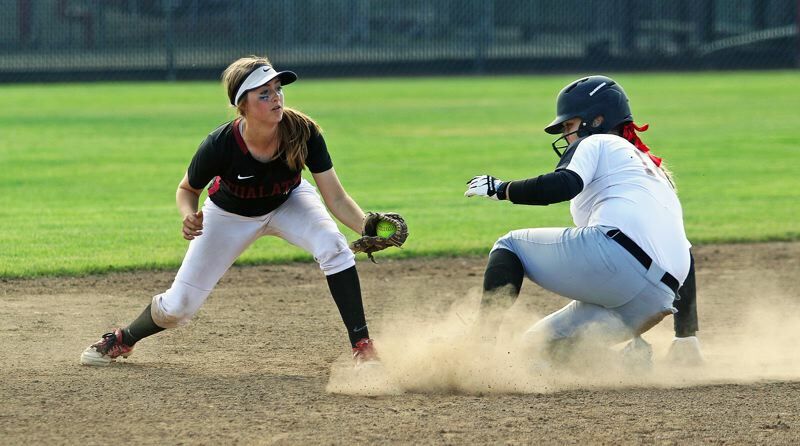 North Medford, in Tuesday's game, grabbed a 1-0 lead in the bottom of the first inning. 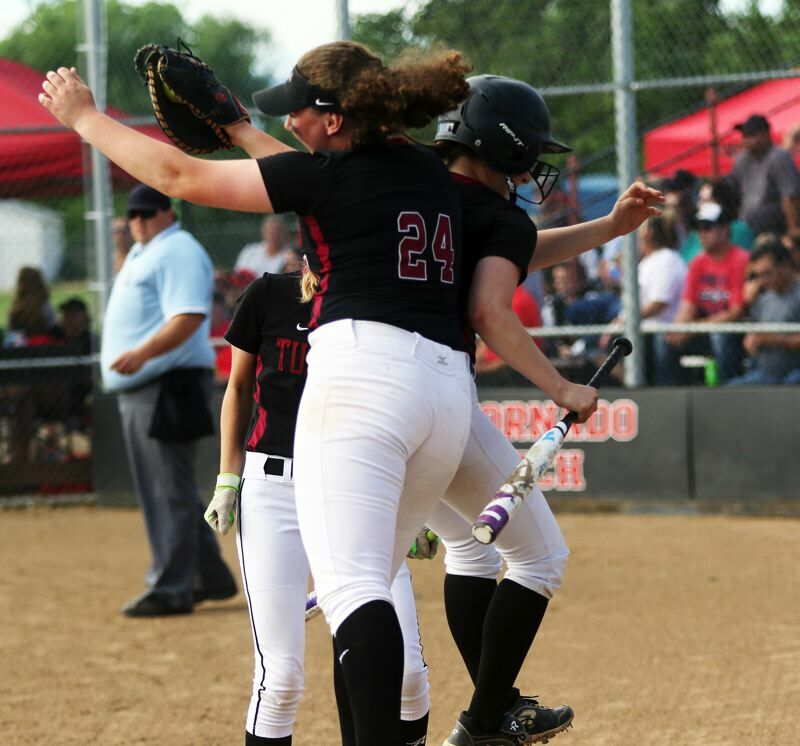 Black Tornado seniors Olivia Lethlean and Taelor Mayben opened the frame with back-to-back singles. Lethlean would eventually score from third on a groundout by senior Ashley Ripplinger to give the home team a quick one-run advantage. 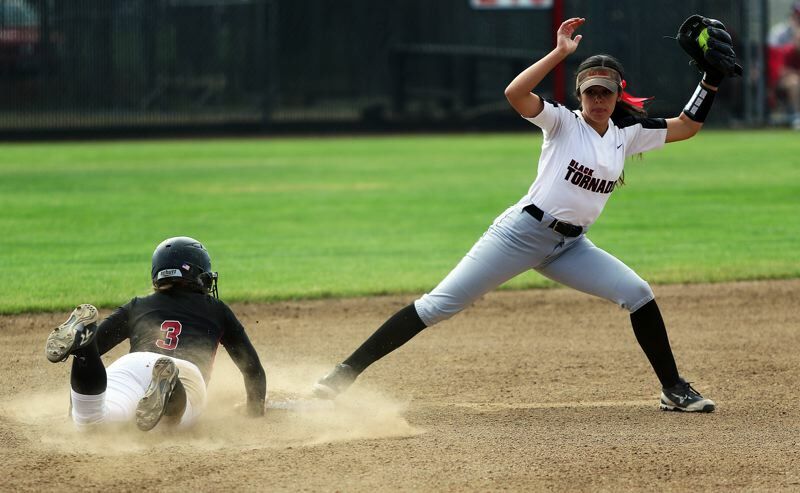 But Tualatin rallied in the top of the third inning to take the lead. Timberwolf freshman Bella Valdes opened the frame with a single to center field. Caron then hit into a fielder's choice, with Valdes being forced out at second base. One out later, Alton ripped a double down the left-field line, with the ball bouncing off the fence. Caron came sprinting around the bases to score, tying the game at 1-1. "That felt good," Alton said of her RBI double. "My mindset was to do it for the seniors." 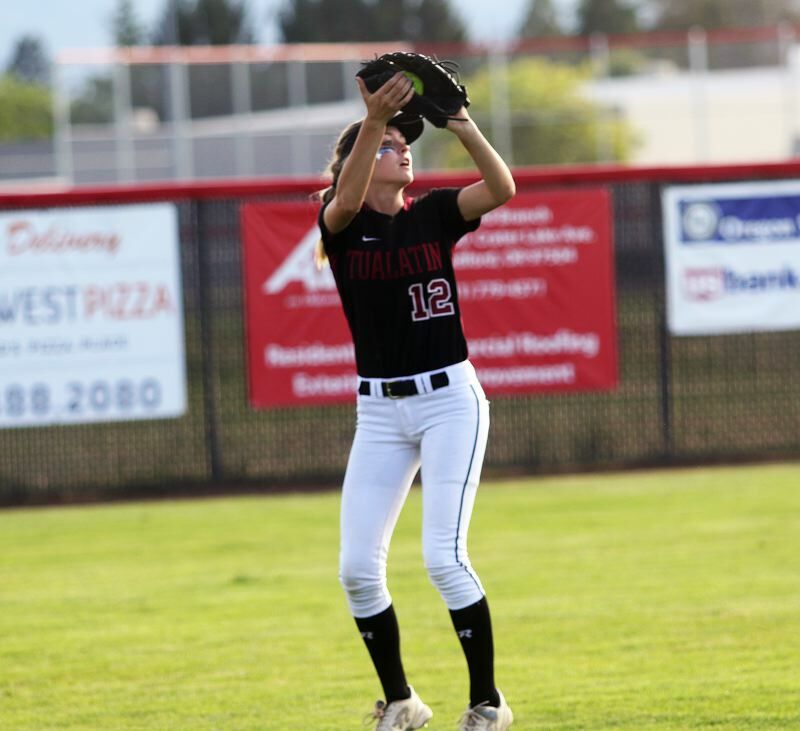 The game wasn't tied for much longer as Olivera, who was up next for the Wolves, doubled to the gap in right-center field, driving in Alton to give Tualatin a 2-1 lead. "I told myself to get the ball in play and to get the runner in," Olivera said. "We could feel the energy building that inning." 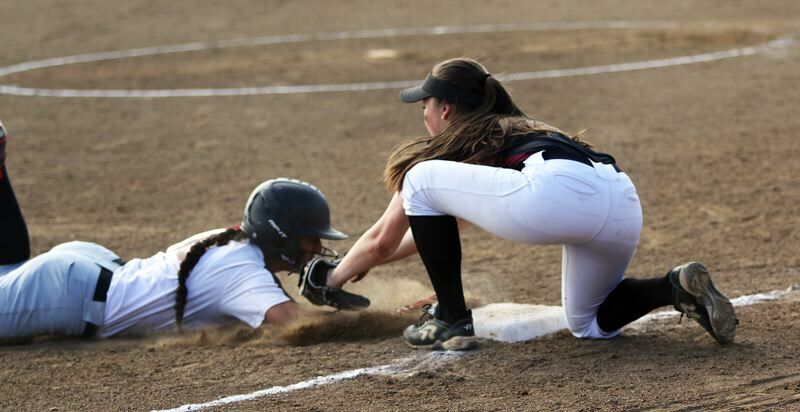 Behind some strong pitching by junior Megan Woodward, and some strong defense, with Caron throwing out two North Medford runners on stolen-base attempts during the contest from her catcher spot, and with junior left fielder Ella Hillier making a run-saving sliding catch, Tualatin carried that 2-1 advantage to the bottom of the sixth inning. But that's when North Medford got its bats going. Black Tornado junior Rylan Austin led off the bottom of the sixth with a double to the fence in left field. One out later, North Medford junior Mahal Miles doubled to center field, driving in courtesy runner Grace Johnson to tie the game at 2-2. Out out later, Black Tornado senior Jordan Neathamer lashed a triple to right field, plating Miles to give North Medford a 3-2 lead. Freshman Lauren Barry followed with an RBI single to left field, giving the Black Tornado a 4-2 lead, which it took to the top of seventh inning. That's where things really got interesting. Woodward, leading off the top of the seventh for the Wolves, reached first base on a North Medford error. Austin, pitching for North Medford, then got both Reser and Valdes to fly to center field. That brought up Caron, who had missed her Horizon Christian High School graduation ceremonies, where she was Valedictorian, to play with the Wolves on Tuesday. And Caron came through in a big way, as she ripped a line drive to right-center field. There looked to be a chance that the ball could sail away for a tying, two-run home run, but, instead it thudded more than halfway up the fence. 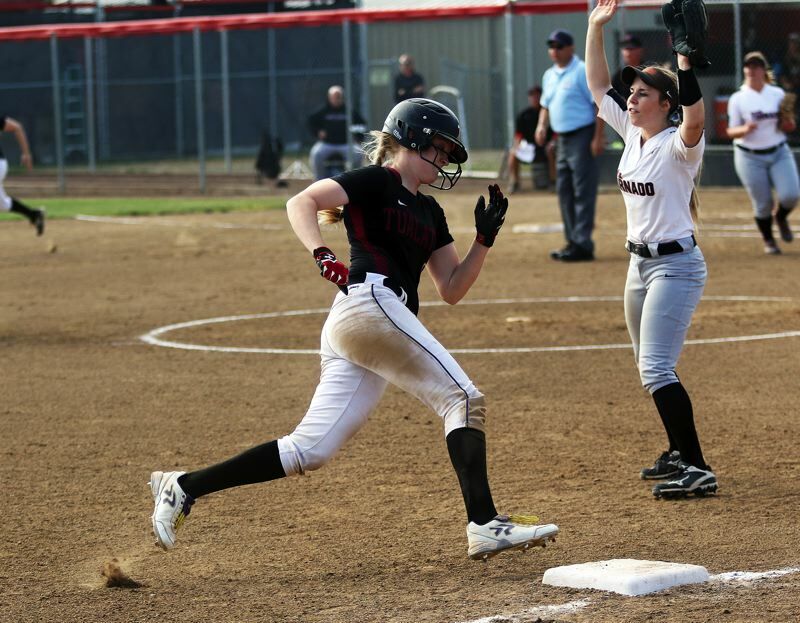 Tualatin junior courtesy runner Kayla Laird, who had stolen second base, came around to score, cutting the lead to 4-3. The speedy Caron came sprinting around second base on the hit, looking for a triple. But North Medford, getting a perfect relay throw from Neathamer in right field, and then another perfect throw by junior second baseman Lauren Barry, and with Mayben making a precise tag at third base, was able to get Caron out on a bang-bang play at the bag, ending the game and igniting North Medford's victory celebration. "I didn't want my season to end on a pop-up," Caron said. "If it was going to end, I wanted it to end on a good hit." "It's a game of inches," Reser said. "To come back like we did shows how much heart this team has. No one ever got down on themselves today." "It was a great game," Alton said. "I think we lost to the team that is going to win it all." 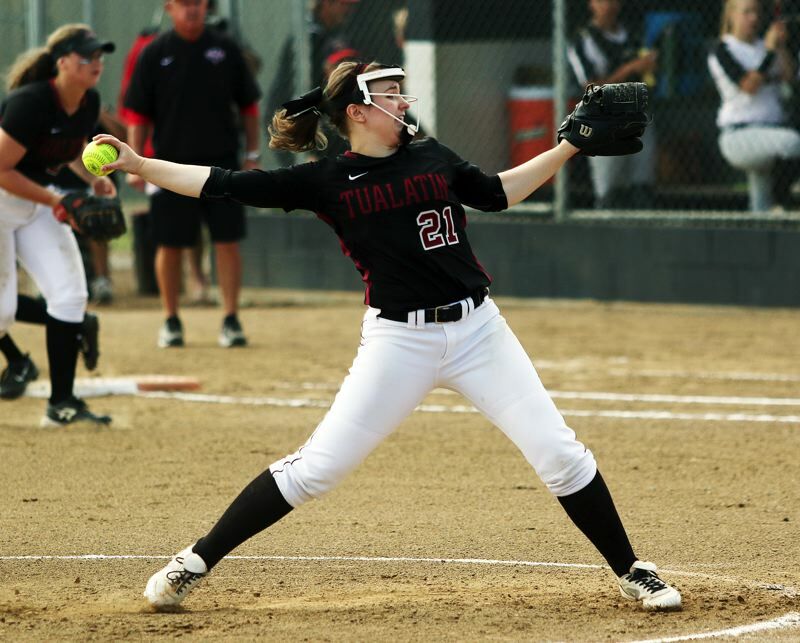 Tualatin, as a team, pounded out 10 hits in the contest. Valdes went 3 for 4 at the plate to help lead the way. Olivera went 2 for 3 with a double and an RBI. Alton went 1 for 3 with a double, a run scored and an RBI. Caron went 1 for 4 with a double, a run scored and an RBI. Junior Emily Johansen and Hillier each went 1 for 3. Reser went 1 for 4. Laird had a stolen base and a run scored. Woodward, pitching the distance, gave up four runs on seven hits, while striking out two and walking one. For North Medford, Austin, pitching all seven innings, gave up three runs (two earned), on 10 hits, while striking out one and walking none. Seven different players had one hit apiece for the Black Tornado. Other players on the Tualatin team include freshman Tia Ridings, sophomore Danielle Nickell, sophomore Lily Marshall and sophomore Andrea Gomez. Jenna Wilson is the team's head coach, with assistant coaches Bill Wilson and Mike Jodoin.